Their soul essences carry mystical secrets. What secrets do they hold for you? 54 Card Set for daily inspiration. 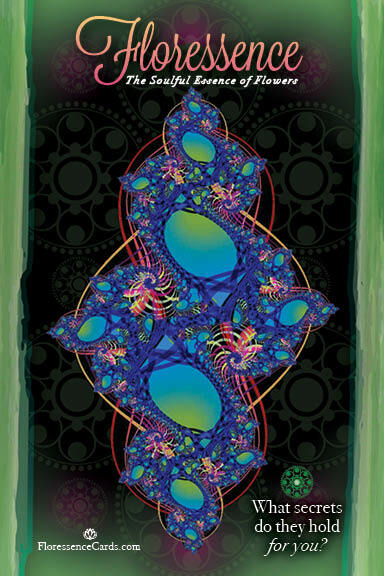 Let Floressence Cards Guide You with Daily Upliftment. 54 delicate flowers await to reveal answers to you. Take a beautiful floral journey with this divinely inspired card set. ​Everything is revealed on each card. A beautiful image of a flower begins your journey of discovery. Go deeper with a guiding word, a meaningful message and a question or two posed by the flower for journal exploration! A manual with simple instructions gets you started right away. 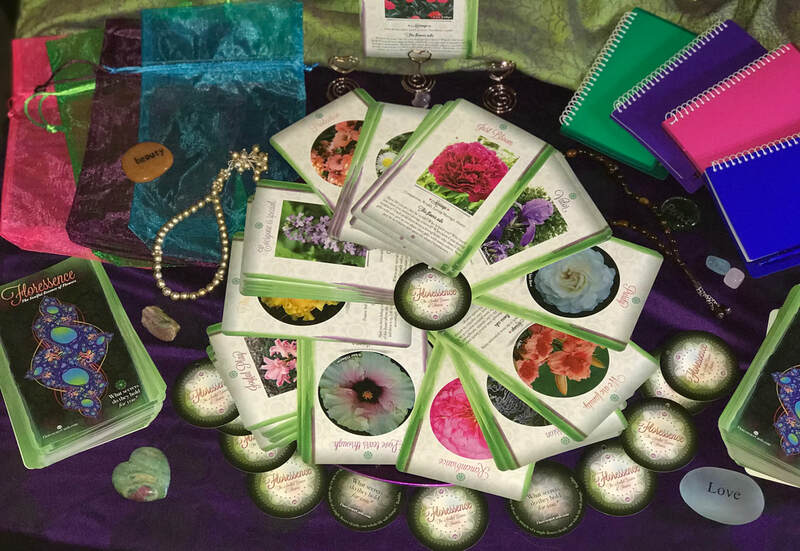 or reading cards for your clients, Floressence is a beautiful floral divination tool to add to your oracle toolbox. Turquoise, Deep Purple, Emerald Green or Hot Pink. Bonus and Gift Packages available. ​and a portion of the proceeds are donated to nature loving organizations. Limited quantities. Get yours today! 54 Cards from which to select. Which card will you draw today?